Old-school and remarkable value – a list that will perk up even the most jaded palate by revealing an abundance of serious producers and iconic vineyards with fair mark-ups and a good few years of age under their belt. 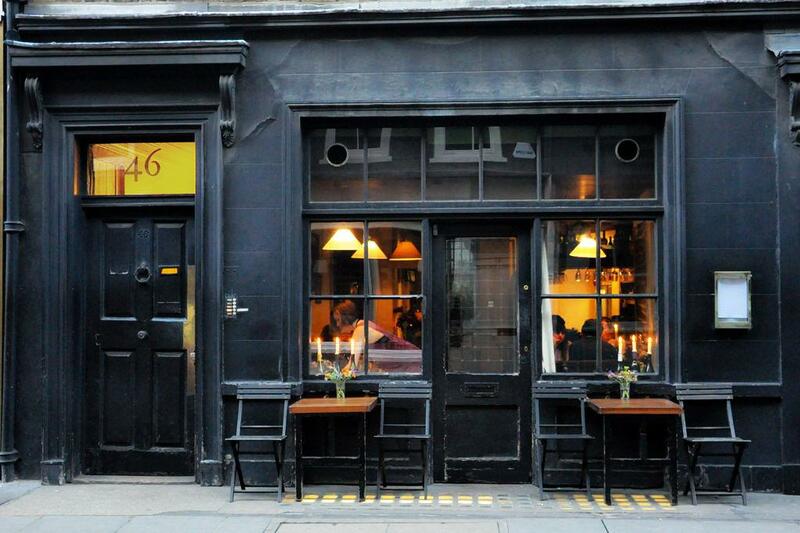 Lit, largely, by candles jammed into the necks of spent Burgundy bottles, this cosy (some might say cramped) bastion of old Soho, which has about it a slight air of debauchery, is often described as London’s most romantic restaurant. Beyond and below the matt black shopfront, the restaurant has been trading for over three decades, while the print shop adjacent, featuring prints by William Hogarth, Daumier and Mesquita which continue onto the walls of the dining room, opened in 1975. Driven by classic European regions with a window too onto the prime New World, the wine list features plentiful rested bottles including a good selection in magnums and half sized bottles. If on a budget, note the sweet spot between £30-40 per bottle, where you may encounter venerable Mosel Rieslings with decades of enriching bottle age from S.A. Prüm, Loire reds (such as the Bourgueil from fourteenth century producer, Domaine de la Chevalerie), Margaret River Cabernet (Arlewood) from vines beside the Indian Ocean, and wild Chilean Carignan (Vinedo Silvestre). And at the top end, discover ripe for uncorking, Ridge Monte Bello, plentiful St. Juliens and juicy Burgundies – burdened very little by low mark-ups. Dishes on the charmingly handwritten daily menu, which are also available upstairs in The Academy members’ club on the first floor, are very good, and may include chestnut soup, then turbot, celery and celeriac, followed by hazelnut ice cream, perhaps with a glass of Don PX Dulce de Postre upended in its entirety over the top. The setting is a quaint old townhouse beside a shop of the same name specialising in English and French 18th and 19th-century prints and drawings.The atmosphere harks back to the ‘old Soho’ in this busy, bijou, romantic spot. The word ‘gem’ is bandied about all too loosely when it comes to London dining spots, but here we have the very essence of that word. Given space constraints, the wine list is surprisingly ample. Start with an £9.50 glass of Pol Roger White Foil Champagne, then fill your boots, perhaps with a bottle of Vincent et Sebastien Chereau Muscadet, which comes in at less than £25, or, if you are feeling particularly gregarious, a well-priced magnum of 2008 Chassagne-Montrachet (V&S Morey) for £140. There is a good range of Sherries and sweeties, too, including Austrian eiswein, Samos Nectar and 1947 ‘Port’ from Crimea.